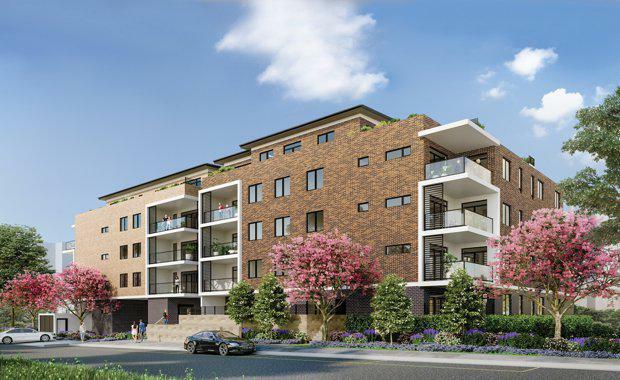 Developer Boill Australia is launching the second stage of its 290 apartment residential development at Kellyville, approximately 800 metres from the new Bella Vista Metro Train Station. Stage two, known as “Magnolia”, was part of Boill’s Peony Place project and set over four stages with eight buildings in a campus-style environment with central gardens. It is located opposite the Bella Vista Waters luxury homes precinct, at lot 38 Balmoral Rd Kellyville. Interior design firm DKO have taken into account the luxury location and specified a level of finish to complement the area, including Quantum Quartz engineered stone bench-tops and timber paneling in the kitchens, they are equipped with European cooking appliances and bold pendant lighting above the islands. Engineered oak floors, plush cut pile wool carpet, black window frames and air conditioning are all coming as standard. Many of the apartments incorporate both a multi-purpose room plus a separate study, and are close to 25% larger than typical apartment sizes across Sydney. The one bedroom apartments range from 77 square metres to 110 square metre internally, with the two bedrooms starting at 109 square metres and the threes ranging from 105 square metres to 141 square metres internally. “We took into account the demographics of the area and saw a market for those buyers looking to downsize to a house sized apartment, with Magnolia, our apartments offer multiple living options and really accommodate all types of buyers," Boill Australia Sales & Marketing Manager, Ed Tancred said. Savills' Peter Coulton said interest from potential purchasers is expected to be strong and is also expecting the take up at the official launch to be very strong. 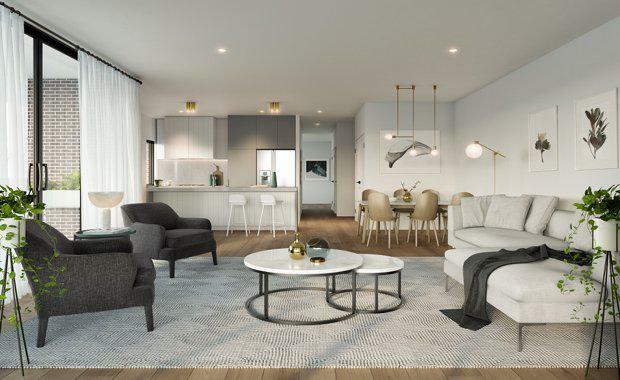 “We put a lot of time in with DKO to select great finishes to go with these extra-large apartments, early indications show us the first home buyers and investor market definitely appreciate the multi-purpose rooms and the extra size that Magnolia offers," he said. The NSW Government has committed $8.3 billion to build Sydney Metro Northwest – Australia’s largest transport infrastructure project currently under construction. The Department has worked closely with Hills Shire Council, Blacktown City Council and the local community to look for opportunities for new homes, jobs, shops, cafes and parks along the 23km rail link that will run from Epping to Cudgegong Road at Rouse Hill. In October 2013, the Hills Shire Council nominated Showground Station, Bella Vista and Kellyville as priority precincts. These were endorsed by the NSW Government in August 2014.